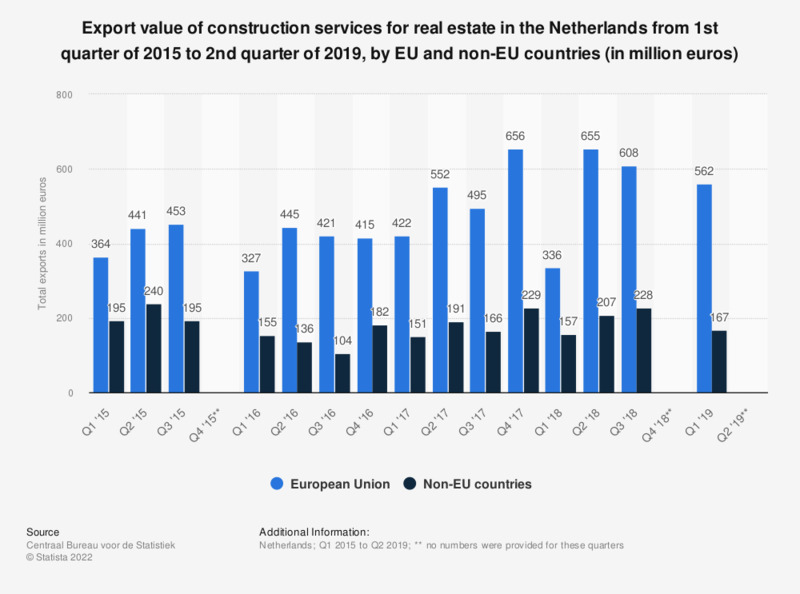 This statistic shows the exports of Dutch construction services for real estate from the fourth quarter of 2014 to the third quarter of 2018, by EU and non-EU countries (in million euros). In the third quarter of 2018, exports to non-EU countries reached a value of approximately 197 million euros. The figures have been taken from several publications. The other table can be found here. * The numbers provided for 2016, 2017 and 2018 are provisional. ** No numbers were provided for the fourth quarter of 2015.